We have been providing great products, service, support and pricing since 1986. 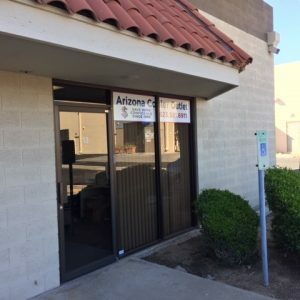 There really is no place like Arizona Copier Outlet. Years ago, we recognized that too many business owners were not willing to pay the huge prices for new machines. These same people were leery of buying used equipment that were outside warranty and did not offer built-in customer support (Age, use, and condition are huge unknowns). Thus, Arizona Copier Outlet was conceived. For over 30 years, we have served as the premier printer/copier dealer in Phoenix, AZ. Our approach is simple: we purchase equipment that is like new (1-4 years old) and put it through a rigorous restoration process. In order for our printers and copiers to ever see the show room, they must pass a series of tests that ensure complete functionality. The NEAR NEW units are CERTIFIED and pass a 90 point inspection. The firmware and software is all new. We are able to provide service and repairs for your copy and print and scan equipment. We guarantee all of our equipment and services and offer excellent 1-3 year warranties. We bring decades of experience to the business since 1986. We can provide hundreds and hundreds of CUSTOMER REFERRALS – ATTESTING TO OUR SERVICE AND SUPPORT… It is paramount to our success.